Note: A version of this essay was published on Pink Ribbon Blues and republished on the Oxford University Press Blog on September 30, 2011. And it’s still applicable. 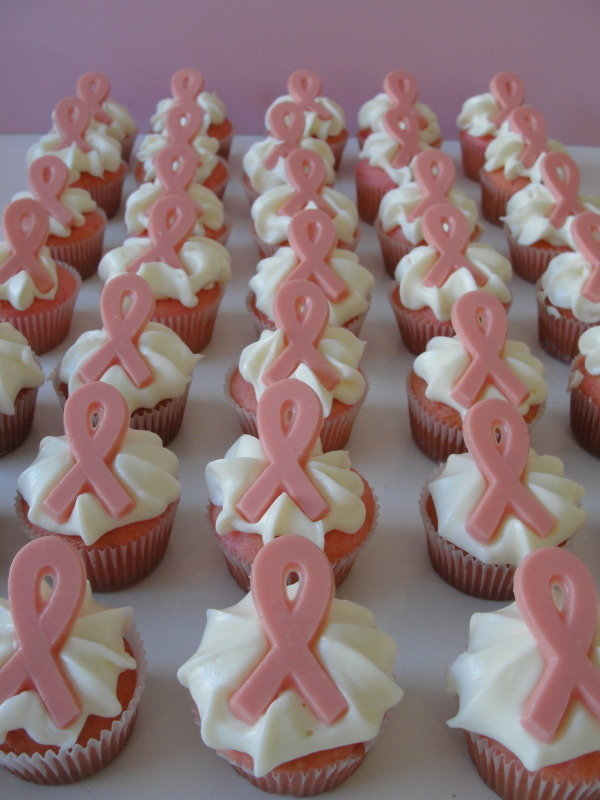 Some people don’t even know that disease-specific ribbons besides pink exist. Nan Hart wrote on the discussion board of the Ovarian Cancer National Alliance last year that after her daughter got a teal ribbon tattoo on her wrist, one of her daughter’s coworkers asked why her breast cancer ribbon wasn’t pink? Umm…Because it’s not a breast cancer ribbon? The assumption that one ribbon, the pink ribbon, the mother of all ribbons is the baseline of social support for cancer is indeed a huge assumption. In the coworker’s defense it just shows how well pink marketing has worked to create the association. Millions of people buy, display, consume, and think pink. Whatever that means. An article in Marie Claire on the “Big Business of Breast Cancer” pointed out that, “Some $6 billion a year is committed to breast cancer research and awareness campaigns,” making it a “gold mine for pink profiteers and old-fashioned hucksters.” Dor those who are working to provide information, support, and resources for other types of cancer this story isn’t “news.” One woman commented on the Ovarian Cancer National Alliance discussion board that she went into a Bed Bath and Beyond in September and the first thing she saw was a breast cancer “awareness” display of pink products. “Where the education or awareness was,” she said, “I don’t know, but they’re certainly making a lot of money.” Another commenter contacted various media outlets to encourage reporting about ovarian cancer during its September awareness month. Apparently they “seemed uninterested.” Pink publicity on the other hand is a year-round activity. The related products? Many of them are around all year too. Concern about the extreme focus on the pink cause to the exclusion of almost everything else is not new. Sarah Sadtler Feather, known in the blogging community as The Carcinista, wrote a compelling essay about it. I wish The Carcinista were here today to comment on Pinktober. She died last spring after 5 years of treatment for ovarian cancer. The total number of people living with cancer (i.e., cancer prevalence) was estimated in 2007 to be 6.4 million. Of these, 2.6 million were living with a breast cancer diagnosis and 177,000 were living with a diagnosis of ovarian cancer. However, cancer prevalence is affected by both the incidence of a cancer and how long people normally live with the disease. Those with ovarian cancer tend not to live as long after diagnosis compared to those with breast cancer. The National Cancer Institute reports that although the incidence rate for ovarian cancer has declined since the mid 1980s it remains the fifth leading cause of cancer-related death among women in the United States. The Centers for Disease Control reported that in 2007 there were 20,749 women diagnosed with ovarian cancer, and 14,621 women died from the disease. It’s hard to get the word out and advocate for the cause when so many women are dying from the disease. The same could be said of those with metastatic breast cancer. When in comes to research, Dr. Elise Kohn states that, “There is no question that ovarian cancer is under funded and under represented in the scientific and medical communities.” The National Cancer Institute’s investment in ovarian cancer research increased to $110.1 million in FY 2009, up from $97.7 million in fiscal year FY 2005. The institute also supported $16.2 million in ovarian cancer research in FY 2009 using funding from the American Recovery and Reinvestment Act. [In comparison, the National Institute of Health spends more than $700 million per year on breast cancer research, and the Department of Defense Breast Cancer Research Program has allocated about $2.5 billion to peer-reviewed research since 1992.] Despite this situation Dr. Kohn states further that, “there has been an exponential and explosive growth in knowledge and treatment benefits for ovarian cancer over the last decade.” Yet, the difference in research agendas and allocations and within and across different types of cancer may also reflect differences in levels of advocacy, publicity, and political will. Basic scientific research, some of it not focused on a particular cancer site, has given us so much insight into cancer that we can actually see a day in the very near future in which it doesn’t even matter where the cancer started. In other words, the clinician is not going to be interested in whether it’s lung cancer or breast cancer or colon cancer. The significant questions for treatment will be: Which genes are mutated? Which genes are turned on? Which genes are turned off? Which genes are amplified? It’s National Ovarian Cancer Awareness Month! Excellent posting on a fact that’s near and dear to my heart: the lack of attention to ovarian cancer. A friend of mine died of it. I’m so sick and tired of breast cancer taking the spotlight. It’s so strange: Breast cancer awareness is not needed, but awareness campaigns for this disease have run amuck. Ovarian cancer awareness is needed, but it’s just not happening. And I am constantly annoyed by designating a month for every darn disease. These are year-round diseases, and our society likes to package everything neatly into its own month. Thank you again for your sharp insight and point out what needs to be said. Thank you very much for helping to spread the word about ovarian cancer! Thank you for this post. Mr. Wonderful wrote a very moving post just the other day and he included the symptoms of ovarian cancer and stressed the need for women with any of the symptoms to get checked. Amazing to hear how few organizations are devoted to ovarian cancer when compared to the number of breast cancer organizations . . . but, not a surprise at all. Great post, thank you for drawing attention to ovarian cancer. I lost a friend to it, she was only 47 years old when she died. One would think that since President Obama’s mother passed for ovarian (and uterine) cancer, he would be a champion for the ovarian cancer awareness campaign and allocate more research funds to finding a cure. THANK YOU!!!! I am a 9 year survivor of stage 3 ovarian cancer and totally agree with all you said. Great article! (Thank you!) As an aside, Wyler’s (drink products) is one of the only companies I have seen advertising teal awareness! They have a whole teal Facebook page in dedication to Ovarian Cancer Awareness Month! They even have a link to send a teal ribbon in support (you can post it to your own FB page). I wish more companies, the government and general population would consider the fact that there is more than just breast cancer out there devastating families and friends. No one should have to fight a cancer battle alone! Thank you all for your comments. About Wyler’s – Another consideration is always, “what’s in the product” that is being used in a cause marketing promotion. Wyler’s has some controversial ingredients such as aspartame, artificial color, red 40. What I would hate to see is a replication of the pinkwashing that is so prevalent in breast cancer. I completely agree with this article. Turn The Towns Teal is an EXCELLENT awareness campaign about Ovarian Cancer. Please check it out. I have been educating my town all month through this great program. YOU can too!!! Thank you for writing this article! I did not know about Ovarian Awareness until I heard about Teal Toes. For the first time, I felt like I could do something positive in the fight against this awful disease. The Ovarian Cancer symptom cards really do help educate the public. My husband and I have already decided this is something we want to do year round. My mom-in-law has been battling Ovarian Cancer for over 3 years. It’s a rough journey, handled with much grace and pure grit. Our hope is that enough resources will be raised so the next generation will be diagnosed early and cured! Thank you, Gayle! I’ll add another color to September’s rainbow: green! This is also Leukemia and Lymphoma awareness month. Lime green, as in new, fresh, healthy. One person in the USA is diagnosed with a blood cancer every 4 minutes. Number diagnosed with leukemia, lymphoma or myeloma last year? 137,260. “My” cancer (NHL) accounts for 9% of all new cancer cases diagnosed this year. This is such an important post. The success of “pink” in its relationship to breast cancer continues to astound me. I’m sure no one ever dreamed this “pink tidal wave” would swallow up the other awareness campaigns. In my mind it has become a victim of its own success and I wonder if it has peaked. People seem to be starting to wake up. The pendulum does only swing one way for so long and then it must start swinging back. I think “pink” is almost to that point. At least I hope so. The “pink tidal wave” should be a “rainbow tidal wave”! In 2010, within two months, my sister was operated on for ovarian cancer and my brother for prostate. I have done the BC “thing” twice. My sister tested negative for BRCA 1 and 2. Obviously there are other familial mutations that “the science” has not yet discovered. A first cousin died of brain cancer and another of esophageal cancer, in their 50s, plus another 1st cousin is a BC “survivor?” like myself. Though, realistically we can’t call ourselves survivors until we die of something else, and I might add, not something treatment related! My family is a walking time bomb and it is going to take more than “pink awareness” to figure out what is going on here! Let’s give all cancers the serious consideration they deserve, in the area of research and prevention and please more money must go to researching and cleaning up the environmental factors that contribute to cancer! Thanks, Gayle, once again you are “spot on”!! Thank you for this post. I, for one, as a breast cancer survivor, am mortified — and nauseated — by the pink culture. I am dreading the start of b.c. awareness month and blogged about it in a post called, “Puking Pink.” Thanks again for all you’re doing! Money and awareness? I am aware that the “pink” money, when if it ever maybe used for any research efforts, its findings are not shared with other cancer research. NBC and 60 Minutes reported how this research and the funding from the “pink” is not shared with any other research for other cancers. Extremely selfish and very sad…and why not share the information. Sounds corrupt to me that an organization making millions is not cooperative in the fight against all cancers. Ovarian is a silent killer and is now with a possible link to breast and colon cancer. Is this not about saving lives? No, looks like greed and arrogance with a very organized corporation out to make money using an emotional factor of breast cancer with women everywhere. I’ve had breast cancer. I have ovarian cancer. The “pink” money could help to make a difference in cancer research…but the “pink” will not share anything with other cancers. How can anyone support that campaign knowing that it is only about money and not about defeating cancer. The “pink” makes me very angry as I know so many are being fooled by this organization. It is just about money, not the cancer. Hello Gayle – I just discovered your site today after reading your recent comment on another blog. Where have I been? Love your ’30 Days’ feature here! As a heart attack survivor, I too am dismayed by Pinktober, but for slightly different reasons. As a person with 37+ years in the public relations field, I have to say that my PR friends working on pinkification are doing a fabulous job in attracting public attention to this cause. So fabulous, in fact, that not only do we essentially ignore all other types of cancer (including ovarian and lung – the biggest cancer threat by far) but the avalanche of pink out there has erroneously convinced many women that breast cancer is our biggest health threat. It is not. Heart disease kills six times more women than breast cancer does. In fact, heart disease kills more women than all forms of cancer combined. Heart disease kills more women than men each year. Sure, we heart attack survivors have our little ‘red dress’ pins to wear in February, which, as very few people apparently know, is ‘Heart Month’ – but compared to Breast Cancer Awareness Month, it’s a little red drop in a very big pink bucket. I’ve already registered for your webinar next week and have put a link to the registration page on my blog, Heart Sisters. Thank you for this, and keep up the good work! I have ovarian and cervical cancers, i have read everyones comments about the lack of awareness for these casncers. i believe we should ban together and start making people aware of this problem, my daughter just turned 4 feb. 2nd and i want to watch her grow and i know some people who have been diagnost dont get the information they need and most are unaware they even have it and because of lack of awareness some mothers do not survive so on behalf of them im going to post on facebook an ovarian,cervical ribbon to support the survivors and the fallen. if you would like to join my fight look me up on facebook under jessica harrington hastings michigan. thank you and god bless.